Ford GT Interior, Sat Nav, Dashboard | What Car? 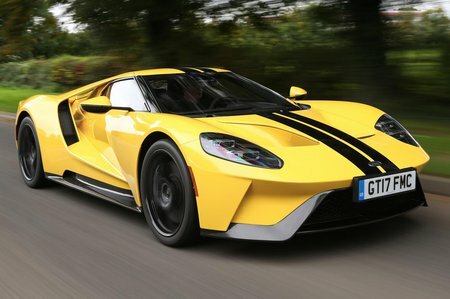 The GT is relatively spartan by the standards of modern supercars. 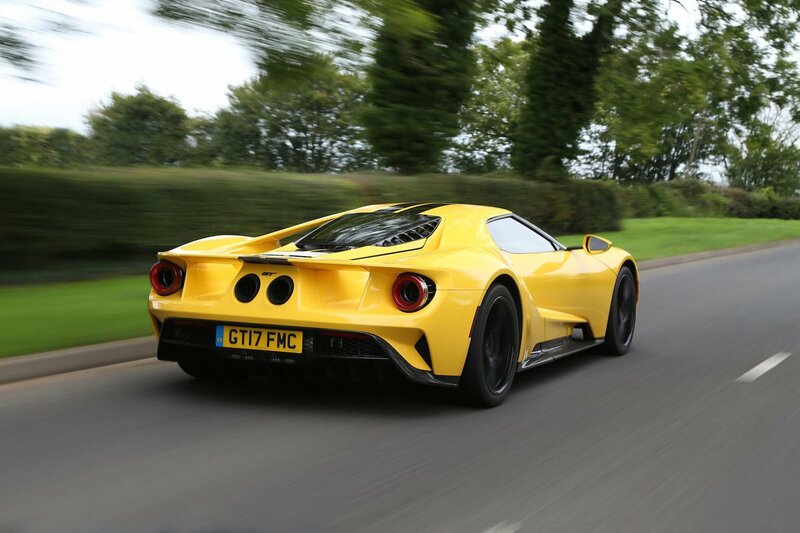 But then they are mostly designed as grand tourers or sports cars first, and track and race cars second, whereas the GT comes at it from the other way around. The first thing that strikes you is how ungainly it is getting in. You have to perch on the wide sill, then swing your legs up and over, while simultaneously sliding back onto the seat. Ladies, you might want to consider your dress code before going for a blast – it’s a tricky process to manage discreetly if you’re hemmed above the knee. Then there’s the unconventional seating adjustment. The driver’s seat is fixed directly to the chassis and, although the driver's backrest does recline, it’s the pedals and steering wheel that move back and forth toward you, rather than the other way around. After playing around, though, it’s decently comfortable, but if you’re tall you might find the steering wheel blocks of the top of the instrument dials. In much the same way that Ferrari does it, Ford has mounted the buttons for everything from driving modes to wipers and indicators on the steering wheel. McLaren forsake this nod to F1 ergonomics on the basis that, for road cars, it’s better to keep things simple. We tend to agree, because trying to find the button for the left-hand indicator that was where it was supposed to be before you turned the wheel, but is now on the right, can be rather confusing. In the GT, forward or side vision are both good, but your rear views are hindered by the tapering body and tiny rear window. The 720S, with its more expansive glass area, is much easier to see out of and airier inside, too. What else is there to tell you about the GT's interior? Well, it's pretty austere, like a racing car, but still exquisite if you are focusing on the wonderful bare carbonfibre that makes up most of the surfaces. Beyond that, though, the material quality is a little questionable, certainly in comparison to the GT's exotic rivals. The GT's sat-nav works okay – it’s part of the Sync3 infotainment system that’ll be familiar to anyone who drives a current-generation Ford Focus - but its sound system has to compete with the road and engine noise; rather like hosting a clarinet lesson on an airport runway. 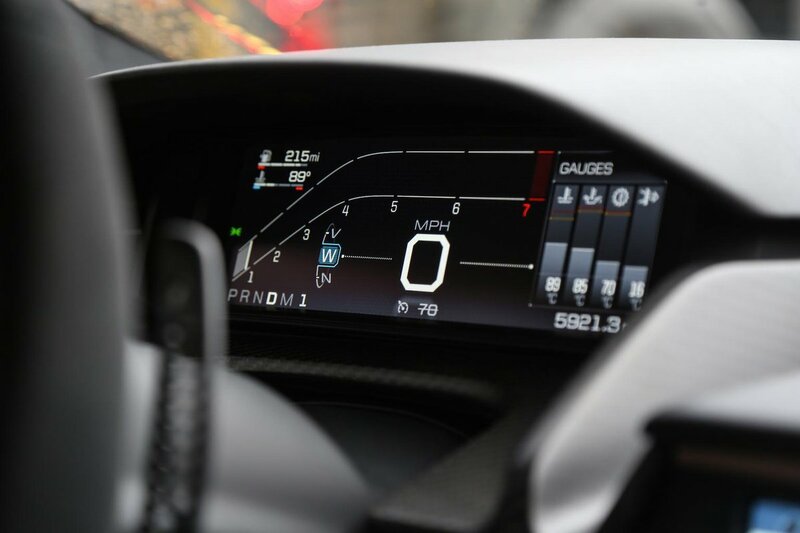 The infotainment also offers a track app, which records the car and driver's performance on a circuit, including lap times and steering, accelerator and braking inputs. It can even record video of you driving via a smartphone.